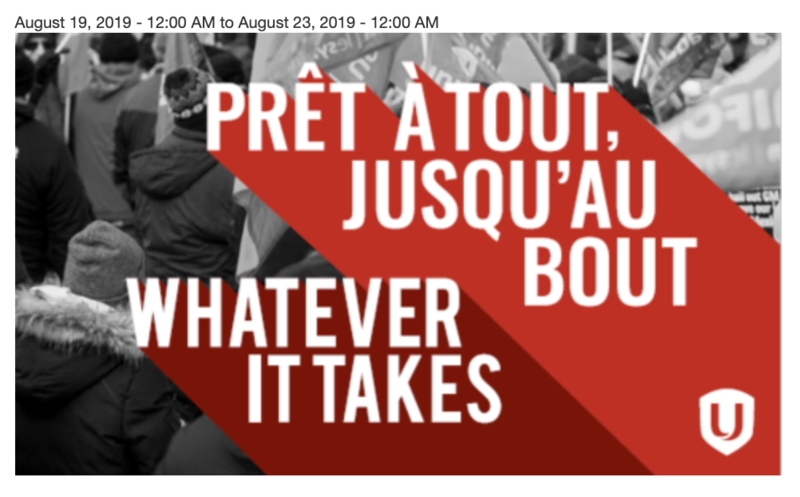 The 3rd Unifor Constitutional Convention will be held from August 19-23, 2019, at the Centre des congrès de Québec, 1000, boul. René-Lévesque Est, Québec (Québec). The Convention will convene on Monday, August 19 at 9:30 a.m. in Exhibit Hall 400ABC on the main level of the Convention Centre. The theme of this years Constitutional Convention is “Whatever it Takes”! Industry Council meetings, scheduled in conjunction with the Convention, will be held on Saturday, August 17 and Sunday, August 18. You will receive additional information from your respective Industry Council executives. Included in this call package is the local union delegate entitlement information, registration information, child care registration form, information on submitting resolutions, along with travel and accommodation information. There is no registration fee for the Constitutional Convention, however pre-registration is required and is available only through our online registration system. 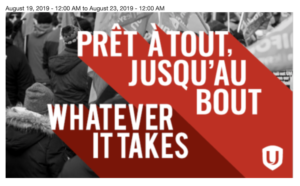 Registration deadline: July 20, 2019 at 5:00 p.m. ET. Resolutions and Constitutional Amendments deadline: May 21, 2019 at 5:00 p.m. ET. Looking forward to seeing you in Québec City!